The Limited Editions Club of New York was started in 1929 by George Macy. At 29-years-old, he was an avid reader who wanted to make his living from books. His business revolved around publishing beautifully illustrated classic titles in relatively small quantities with club members paying a subscription. Today, the Limited Editions Club (LEC) is an important part of the rare book business and the books are adored by collectors. From 1929 to 1985, the Limited Editions Club published 548 titles. George passed away in 1956 but his widow, Helen, ran the company until the early 1970s when she retired and sold to Boise Cascade who sold the firm again in 1978. The Limited Editions Club is famous for original illustrations by the best book illustrators and artists. Between 1929 and 1985, 10 to 12 titles featuring 1,500 numbered copies each were published annually although the print run expanded to 2,000 numbered copies in later years. 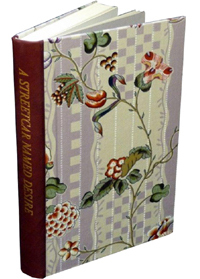 Each title was unique, using special papers, special cover material including many in leather, almost all came in a slipcase or clamshell box, many of the titles were already regarded as classics and produced by private small presses throughout the world, almost all were signed by either the illustrator, author, publisher or designer. Sometimes three signatures can be found on the colophon page. During the depression years, many of the world’s greatest artists struggled to find regular work and a large number were employed by Macy. Pablo Picasso, Henri Matisse, Edward Ardizonne, Thomas Hart Benton, Rockwell Kent, Reginald Marsh, Edmund Dulac, Arthur Rackham, Norman Rockwell, Edward Steichen and Grant Wood are just a few of the artists connected with the Limited Editions Club. Other highlights include the editions of Alice’s Adventures in Wonderland and Through the Looking Glass that were signed by Alice Hargreaves, who inspired the books as a child. The typography is also exceptional and involved masters of the age. Each book is a work of art in its own right. From the mid-1980s until 2009, the number of copies published per title was reduced to mostly 300 and usually just three or four titles appeared per year. During this period, a new generation of renowned artists were involved - prices increased dramatically and the books became larger. Limited Editions Club books are very collectible for their beauty alone but many famous authors have been published over the years. Hans Christian Andersen, Jane Austen, Honore De Balzac, James Boswell, Ray Bradbury, Robert Burns, Lewis Carroll, Willa Cather, Anton Chekhov, Confucius, Joseph Conrad, Charles Darwin, Daniel Defoe, Charles Dickens, Fyodor Dostoevsky, Alexandre Dumas, George Eliot, Thomas Hardy and Victor Hugo can be found on the list. Become familiar with the market before spending your money in order to get value for money. Ask for additional photos for copies that interest you. BookFinder and Amazon are also good places to search for them. Consider the used book sales at your local library, you can sometimes get lucky and find a treasure for a bargain. Ask around to learn about book collectors who may have LECs to sell. Check your local used bookstore and visit more shops when on vacation. Edward Halpern’s bookselling business is based in Spring Grove, Illinois, and specializes in antiquarian, art, Limited Editions Book Club, illustrated, color plate, leather bound, children’s, biographies, Chicago, Illinois, and the Orient.